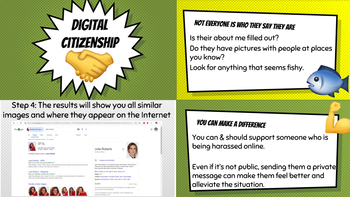 An up to date guide on teaching students how to master the Internet by learning about Internet safety, digital footprints, and digital citizenship. 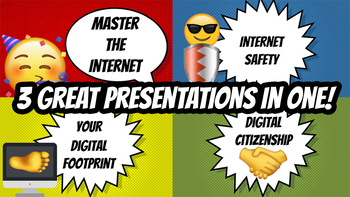 This is a fun and engaging emoji themed presentation intended to go beyond the surface of what students think they know, in order to prepare them to avoid the dangers of the Internet, and become responsible consumers of media. 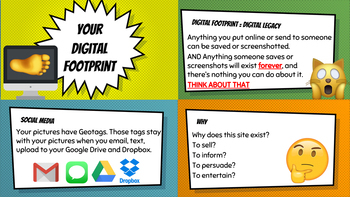 This is a practical lesson intended for late elementary school, middle school, and possibly early high school. 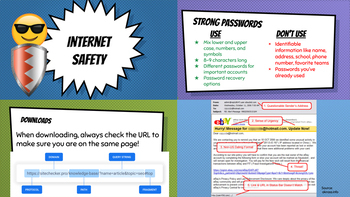 The purchase comes with two separate presentations, one editable PPT (the font I used is called Bangers), and the other with a superhero font that can't be edited.